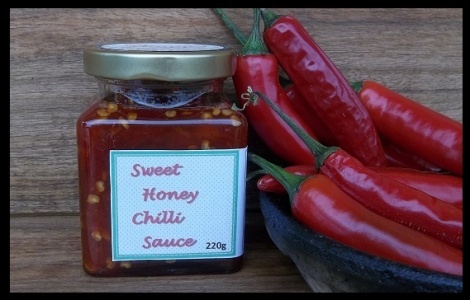 Use this sauce as you would normally use your sweet chilli sauce. Only this one is made using honey, no refined sugar and will make a sticky sauce when cooking. Ingredients: Chilli, white vinegar, honey & garlic.